Dr. Christopher M. Green is a Certified DOT Medical Examiner #900152489. Chiropractic Care and Rehab Center of Estero, Florida provides comprehensive and efficient Department of Transportation (DOT) Physicals for commercial drivers and truckers in and around the Estero FL, Fort Myers FL, Naples FL, Bonita Springs FL, San Carlos Park FL areas. Do I have to schedule an appointment for a DOT Physical? You can walk-in anytime or schedule an appointment for a DOT Physical. Our Estero office has ample parking spaces for trucks and large vehicles! DOT medical exams can also be conducted at your place of work. For companies with 20 employees or more, we can provide exams, drug tests, and medical cards on site. We can provide results for DOT Physicals typically within 30 minutes; more complicated health issues may take longer. Unless disqualified, held up for additional testing or pending an exemption or SPE, you will walk out with your long form and your DOT card. Regarding UA drug screens, results can be faxed to your DER usually within 24 hours. What are your prices for DOT physicals? An individual DOT medical exam costs $125; UA drug screens are $75. Should one be required, a direct observation fee is $50. DOT Physicals are very similar to normal health physicals, minus blood work. There is a UA requirement to test organ and kidney function. The exam is a uniform series of history and examinations for the US government, your employer and the Medical Examiner to be sure that you meet the physical health qualifications to safely operate a commercial motor vehicle. Are drug and alcohol tests part of the a DOT Physical? Drug and alcohol tests are not included in DOT Physicals; however your employer may require or request that a drug test be completed at the same time of your physical. A UA drug screen is required prior to your hiring. Dr. Green is certified to provide BAT/SAT tests for alcohol testing. What are the requirements to pass a DOT Physical? 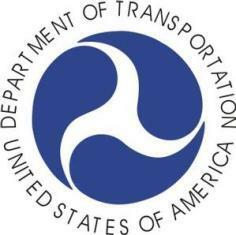 The Federal Motor Carrier Safety Administration requires that all interstate drivers be medically qualified to drive the vehicle safely, perform pre- and post-trip safety inspections, and secure a load. Bus drivers have different requirements. Examiners certify drivers for up to 2 years , but may certify for less than 2 years if more frequent monitoring is required to ensure medical fitness for duty. Typically medical conditions that disqualify drivers or require more frequent monitoring or exemptions include those with hearing loss, vision loss, epilepsy, or insulin use (diabetes). Reasons for disqualification, more frequent monitoring, exemption, SPE or counselling with be explained thoroughly during your examination. Who is required to get a DOT Physical? Vehicles placarded for transport of hazardous materials under 49 U.S.C. 5103 and transported in a quantity requiring placarding under 49 CFR, subtitle B, chapter I, subchapter C.
How often to I have to get a DOT Physical? Medical Examiner's Certificates are valid for 24 months, however some medical conditions require more frequent re-certification periods. Examiners certify drivers for up to 2 years, but may certify for less than 2 years if more frequent monitoring is required to ensure medical fitness for duty. Phone our Estero, FL office for an affordable, convenient, efficient DOT Physical today at (239) 495-1166!